The incidence of invasive fungal diseases, which are life-threatening disease processes caused by fungal infection such as Candida blood stream infection, invasive aspergillosis, cryptococcal meningitis, Pneumocystis pneumoniae, histoplasmosis, and mucormycoses, is increasing with a global rise in the number of immunocompromised patients including transplant recipients, patients with AIDS, or autoimmune diseases. These immunocompromised patients have deficient antifungal defense mechanisms affecting their pulmonary macrophages that phagocytize fungal conidia and/or their neutrophils, together leading to a reduced inflammatory response. In addition to the aforementioned acute opportunistic systemic invasive mycoses, superficial mycoses, involving Candida spp., Malassezia spp., or dermatophytes, are highly prevalent in immunocompetent hosts. And, chronic fungal infections, such as mycetoma, sporotrichosis, fungal keratitis and chronic presentations of pulmonary aspergillosis, coccidioidomycosis, or histoplasmosis, are also common throughout the world and are defying treatment. Allergy to fungal molecules triggers allergic bronchopulmonary mycoses, allergic sinusitis, hypersensitivity pneumonitis and atopic dermatitis. Fungal molecules with established allergenic potential have been previously described, however the tools for in vitro or in vivo diagnosis of fungal allergy remain scarce. Altogether, a major question that remains unanswered is the reasons why a given fungus (Aspergillus, Alternaria, Cladosporium, Malassezia or Penicillium) will cause allergy or infection rather than be perceived as innocuous at a given time point in a given human host. The high inter-individual variability in the onset and clinical course of fungal diseases raises fundamental questions about its pathogenesis. Understanding how the immunological machinery of the host and armory of the fungus interact to dictate the outcome of the host-fungus interaction will provide critical insights into fungal disease mechanisms by pin-pointing directly relevant immune and fungal molecules that ensure protection or drive disease. In this regard, fungal infections result from either a lack of recognition by the immune system or an excessive inflammatory response. For example, it has been shown that aspergillosis susceptibility is increased in chronic granulomatous disease patients in whom Aspergillus fumigatus clearance by NADPH oxidase–dependent LC3-associated phagocytosis is reduced. In contrast, an increase in Th17 responses has been associated with severe immunopathology, as demonstrated by impaired fungal clearance and exacerbated neutrophil tissue infiltration. Moreover, exciting approaches aimed at understanding the role of both host and fungus genetic background and the role of human endogenous prokaryotic and eukaryotic communities on the expression of diseases, including fungal diseases, are rapidly advancing this field. In this regard, it has been shown that an increased susceptibility to aspergillosis in stem-cell transplant recipients has been associated with genetic polymorphisms reducing the soluble lectin pentraxin 3 expression. Moreover, recent data suggest that inflammatory bowel diseases might be influenced by the gut mycobiome, and it has been shown that non-Malassezia fungal skin microbiota diversity is increased in patients with atopic dermatitis. Overall, an improved understanding of the molecular and cellular processes that regulate susceptibility to fungal diseases is ultimately expected to pave the way towards personalized medical interventions based on host-directed risk stratification and individualized immunotherapy. In this Research Topic, we welcome the submission of Original Research, Review and Opinion articles, Methods, and Case Reports covering recent advances in our understanding of the pathogenesis of allergic and invasive fungal diseases, focused on aspects of (i) host immunology – innate, humoral and adaptive; (ii) host genetics as well as (iii) fungal biology (i.e. virulence factors of allergic or invasive fungi). 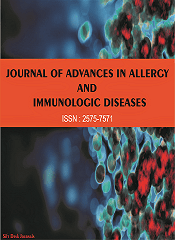 We also welcome manuscripts that uncover host and/or pathogen determinants of allergic or invasive fungal diseases using different in vitro and in vivo model systems.